Hines, along with its joint venture partners RFR and Revcap, will develop 160 Park View, an iconic mixed-use, twin tower. 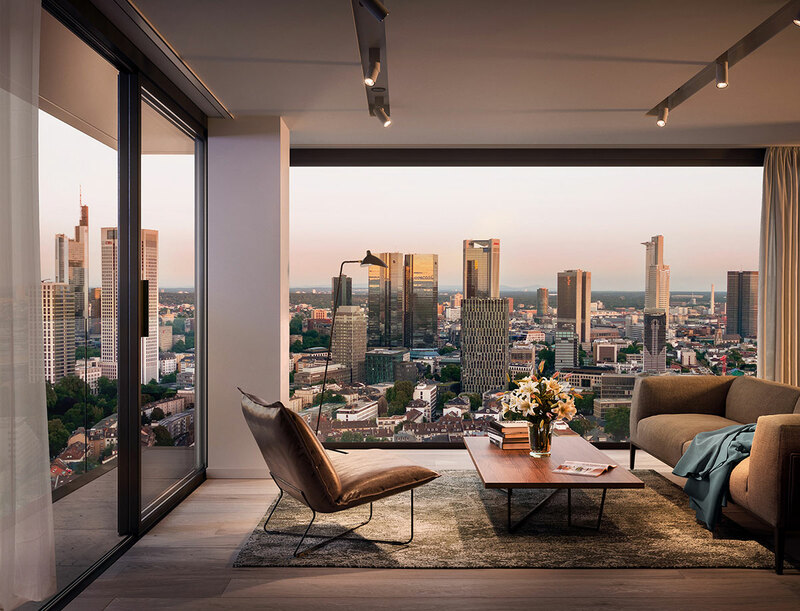 Designed by KSP Jürgen Engel architects, this refurbishment of a 1970s tower will include 129 luxury condominiums and a first-class hotel in Frankfurt’s most prestigious residential neighborhood, Westend. The building’s unique metal and glass façade will accentuate its mixed-use design, allowing for a visual distinction between the residential and hotel tower. The project will feature a wide range of amenities including a private park with spacious restaurant terrace for residents and hotel guests, a condo residents’ lounge, spectacular common areas and breathtaking Frankfurt skyline and park views.